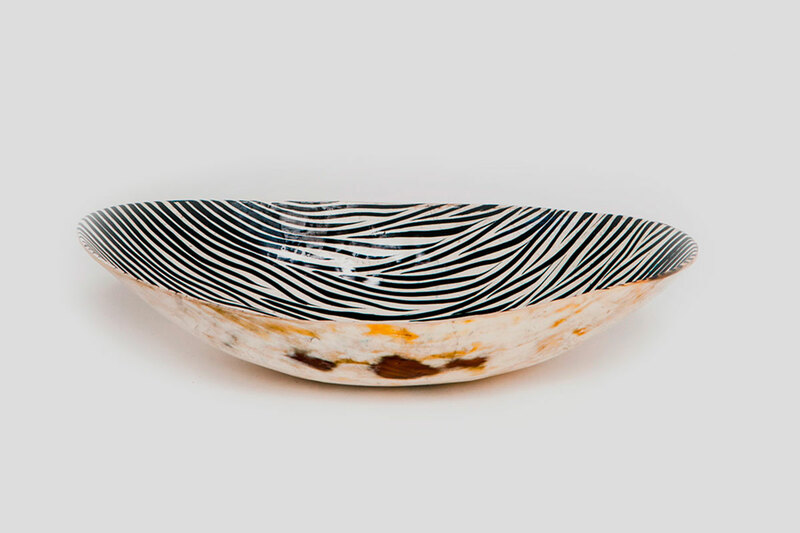 Add a touch of Africa to your home with this beautiful handmade bowl made from cow horn. 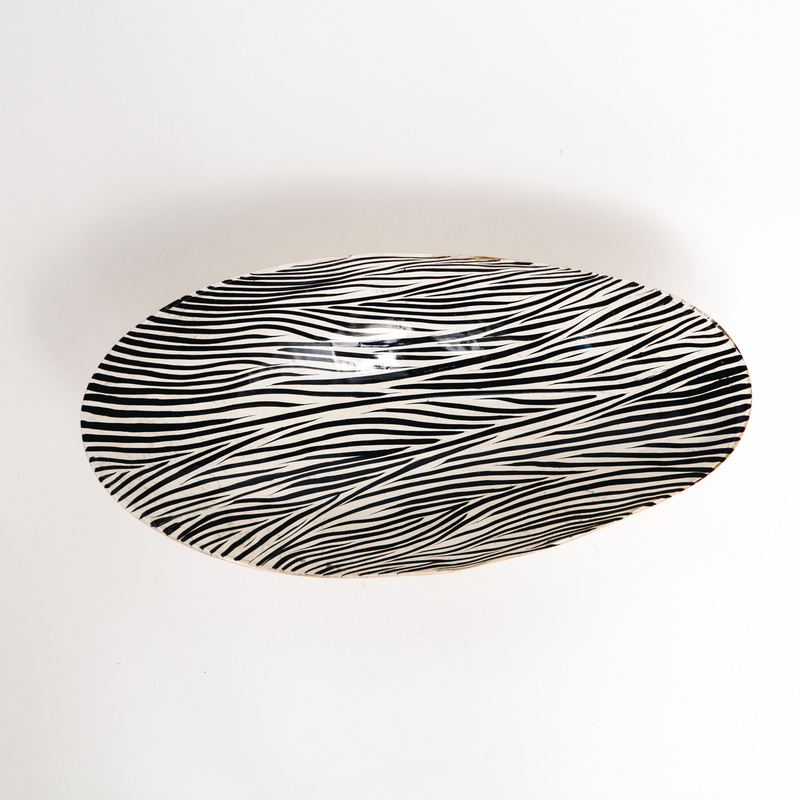 The bowl comes in plain horn or hand painted zebra pattern on the inside. 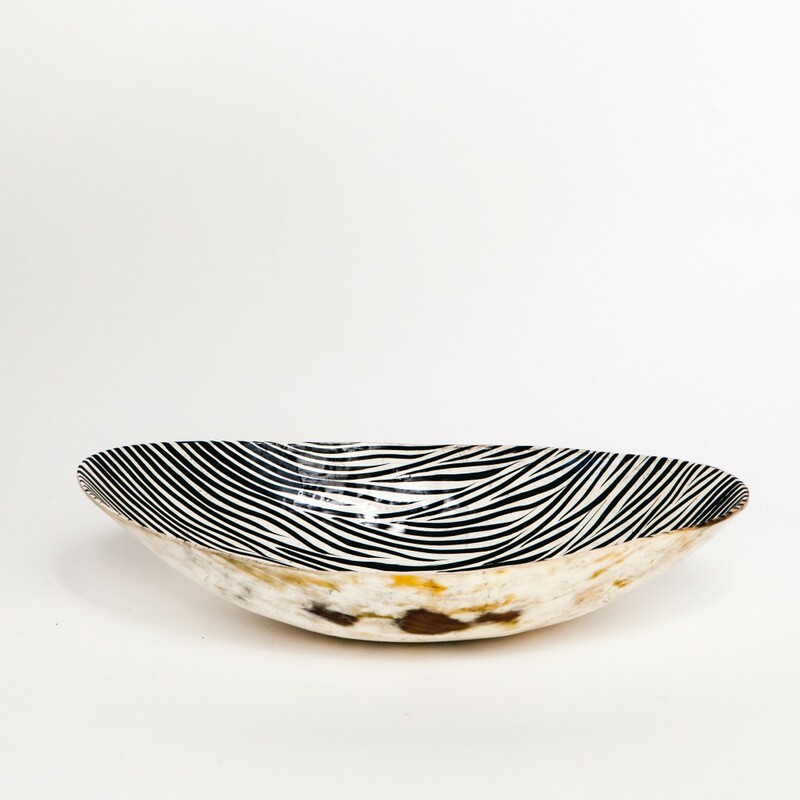 Use for storage, fruits or spice up your servings for your guests. 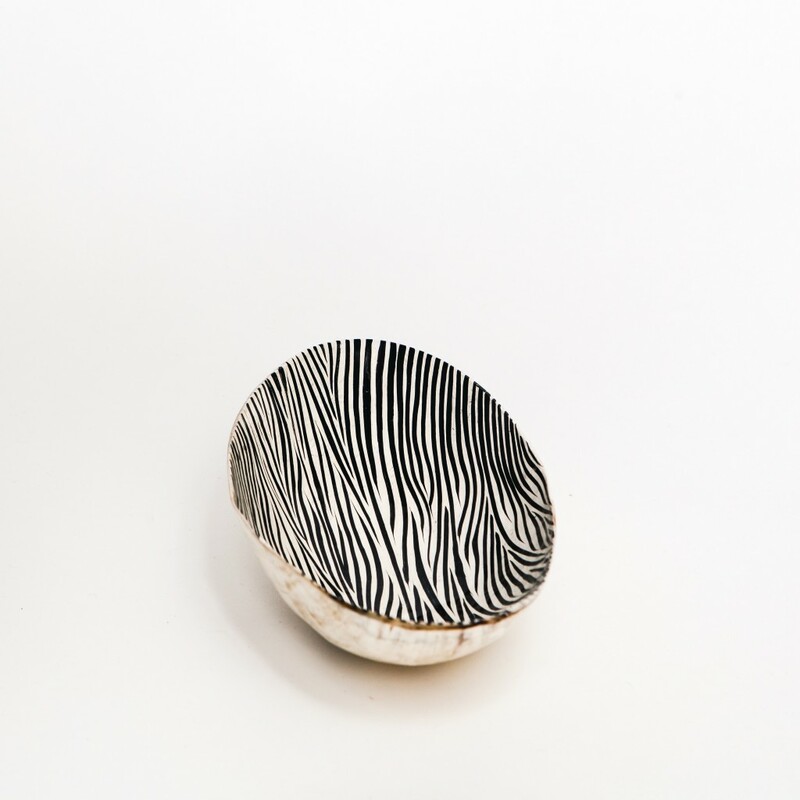 These bowls are made from African cow horn. Each hand-carved by traditional craftsmen in Tanzania. Naked Society tries to hand pick the most beautiful pieces from local producers who work at home, carving the horn and painting the bowls. The colour you choose here are very like the colour you will see when you receive your jar, but like all our unique handmade products, please expect for slight irregularities, and know that you have received a product that is entirely yours.